Body Restoration, a Philadelphia-based spa specializing in massage therapy, facials, body treatments and hair removal by waxing is just steps away from Rittenhouse Square − but a world way from the hustle (and hassle) of city life. The environment in Body Restoration®, is tranquil, and the energy is positive and free flowing. Massage – Therapeutic bodywork promotes relaxation, circulation, clearer thinking, stress reduction, pain relief, and a general feeling of wellness. Specialized massage includes, Swedish massage, Deep Tissue massage, Sports massage and Maternity massage. Aromatherapy – is the application of pure essential oils that penetrates into the bloodstream and has therapeutic effects on the body when added to any style of massage. Massage Classes For Couples – Give your partner or favorite couple the gift of massage instruction. No prerequisite required, as this crash course is specifically for massage novices. It is easy and instant to purchase. Simply use the form found on the website to order your Instant Gift Certificate from Body Restoration. Once you have completed secure checkout through PayPal, your Gift Certificate will be emailed directly to you, ready to print! No hot malls, crowed parking lots or long lines of in-person shopping. It’s a thoughtful gift for both women and men. Restoration Facial – Tailored to your unique skin care needs, both men and women will experience smooth, soft and supple skin clearly visible after this treatment. The Men’s Restoration Facial focuses on softening and rehydrating skin damaged by shaving, sun exposure, and the urban environment. Tu’eL™ skin care is aromatherapy-based, natural, paraben-free, and formulated for all skin types – regardless of gender, ethnicity, or condition. Body Restoration operates by the strictest code of ethics. 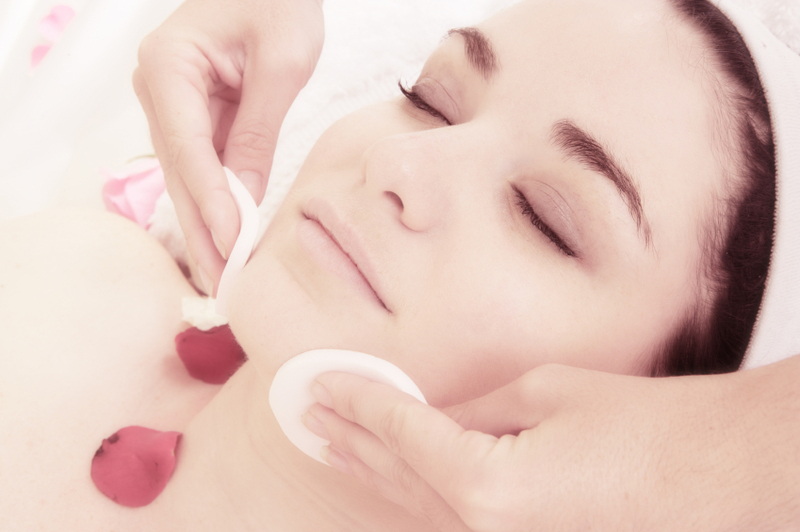 Information gathered during the massage session or skin treatment is strictly confidential. Clients are draped during massage, skin or body treatments. As members of Associated Bodywork & Massage Professionals, the massage therapists and skin therapists of Body Restoration, take a pledge to abide by the ABMP Code of Ethics. You can be proud of your gift. Surprise the most difficult giftees on your holiday gift list with the gift of relaxation, beauty, and wellness from Body Restoration. Ideal for anyone who appreciates a progressive spa experience that soothes heals and motivates. Why is the Blue Wax Hard to Find? We waxed a client recently who had just visited Body Restoration Spa for the first time. She moved to Philadelphia seven years ago. She loved the Blue Wax and her wax tech in the city where she had previously lived used the Blue Wax. Brazilian waxes were never that painful for her until she moved to Philadelphia. She admitted that she had not consulted any online review sites as to where to get a Brazilian wax. She hopped from wax salon to wax salon enduring strip wax and had always inquired about the Blue Wax when speaking with her wax tech. She was told time and time again that “…the Blue Wax is horrible; it breaks the hairs at the surface and causes ingrown hairs.” However, all of these drawbacks seemed to be the result of strip wax, not the Blue. She realized she had taken the Blue Wax for granted and figured it was used everywhere prior to relocating to Philadelphia. Upon meeting her at our Philadelphia day spa, she spoke of missed hairs, and how she listened to the frustration of each wax tech telling her that her hairs are not coming up because they are too coarse or too deeply rooted. In fact, there were coarse hairs and there were nubby hairs that were too short. There were also very light hairs that were very difficult to see. I explained that sometimes Brazilian waxing is a process. It may take a few visits until the area is resurfaced to a smooth feeling. I also informed her not to shave and to observe all of the protocols on our web site so that her wax visit is as tolerable as possible. The results were much more positive this time around using the Blue Wax. It seemed like a standard Brazilian Wax with a few extra re-applications here and there capturing hard-to-see blonde, coarse hairs that every wax tech she visited had missed. I showed her each piece of Blue that I had peeled and they were loaded with papillae (the white bulbs) of the hairs that were pulled from the root. There was barely any redness and she told me it was so much less painful that what she had been experiencing for the last seven years. The moral to the story: If someone tells you the Blue Wax isn’t a good product, they either haven’t mastered the use of it or they received a Brazilian wax from someone who hadn’t mastered the use of it. The Blue Wax is expensive to carry and takes time to learn – more time to learn than soft wax because you need to learn how to build the peel-able edge. There are also the drying times for each piece once it has been applied to the skin. Some wax techs will complain that using the Blue Wax takes too long and they will comment that they can service twice the amount of people a day if they just use the soft wax. This may be true for them but there will be nothing remarkable about the waxes they are giving. A “wham-bam-thank you-ma’am” wax only feels good to the person doing it, not the person receiving it. You’re making lots of money but the person getting up from the wax table may look elsewhere if a) each pull was rushed, b) she feels sticky and raw after it, c) she proceeds to walk home with clothing fibers caked to her bikini area, d) it grows in weird or patchy or twisted or springy, e) or there are missed hairs. Posted on October 17, 2013 September 11, 2015 Author bodyrestCategories Body Restoration, WaxingTags bikini waxing philadelphia, blue bikini wax, blue wax philadelphia, brazilian waxing, day spa philadelphia, rittenhouse, spa philadelphia2 Comments on Why is the Blue Wax Hard to Find? EASTER SUNDAY APRIL 21, 2019: CLOSED.